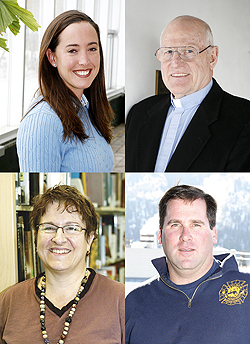 Clockwise from upper left: Jennifer Colson, Father John Morgan, John Rathfon and Lisa Horton. Here?s to ?Jumpin? Jack Flash?